The unit splits two independent outputs from ArcPower™ series drivers into several branches, making cabling to multiple LED fixtures easier and faster. Small and compact in design, the unit is self powered. 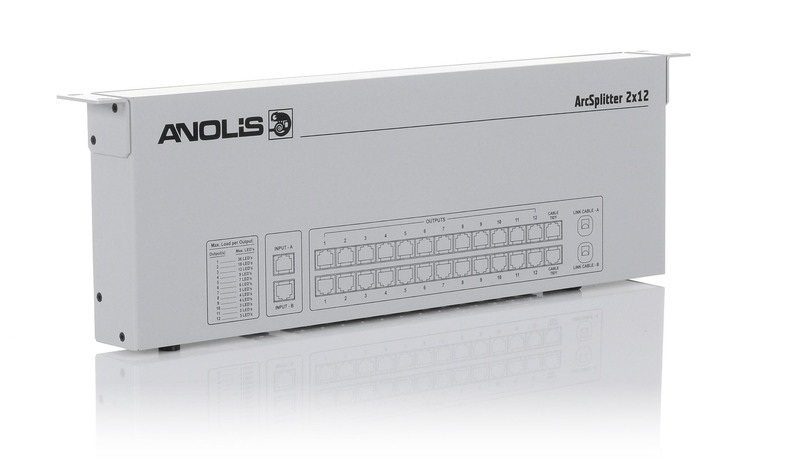 Fitted with RJ45 system connectors, the ArcSplitter™ 2x12 splits two driver outputs of into individual networks of 2-12 outputs each. Fast, low cost easy way to connect multiple ArcSource fixtures to an ArcPower output. Maximum fixture load and current dependant on the ArcPower driver model. Dependant on the ArcPower driver model.